Also glass frameworks, as the most of mg&md production, are personalized, in fact, upon our examination of practicability, a lot of models in following can be supply with different lengths, heights, depths and made to measure corners. 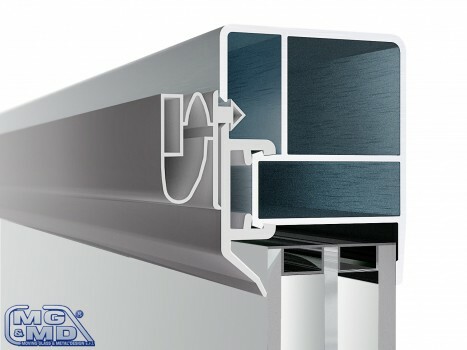 Glass frameworks are realized in aluminium, with standard anodisation: brushed silver, stainless steel colour, gold or silver, polished or ral varnished. The lights can be with (840) white light neon, standard or other kind of lights or led tubes on request. In some glass framework models we can fit avery little profile in aluminum for inclusion of strip led. Glass frameworks can be supply also with back doors (sliding doors in plexiglas or night curtains). Glass frameworks can be supply in parties, as partly finished product, or fitting in our basin or customer basin.